Interested To Buy? Talk To Our Expert. A comfortable and fast rolling hybrid bicycle with Small to XL frame sizes. Firefox has always been successful with their wide range of Hybrid’s. These hybrids are comfort and performance focused but at a competitive price. We got the opportunity to test ride the Firefox Road Runner Pro V Brake and here is what we thought. The Firefox Road Runner Pro V has a strong but slightly heavy alloy frame. The frame’s top tube is at its biggest near the stem and thins out as it goes near the seat post. This has made sure that there is enough material used at a place on the frame that will experience the most impact from the surface. The major positive of this frame is the 4 sizes it comes in; 16”, 18”, 19.5” and 21”. The Road Runner comes with a front suspension fork. This Zoom alloy suspension fork with 40mm travel was minimal and not the smoothest, but it made sure the vibrations from potholes and speed breakers on city roads were absorbed to an extent. 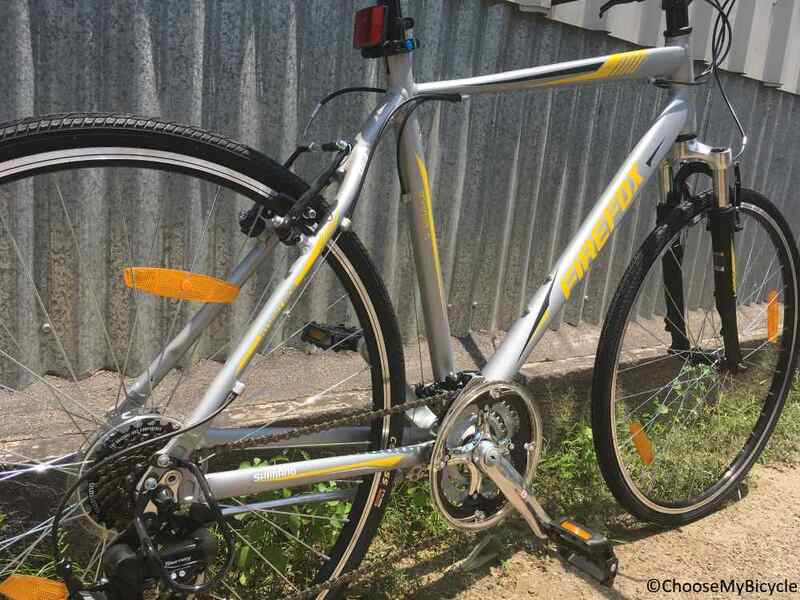 The bicycle which I test rode came in a silver frame with yellow and black graphics. Road Runner Pro V has been in the market for a long time and the only changes in the recent past has been in the design department. The silver matte finish paint job definitely enhanced the look of the bicycle. The flattened chain stays and seat stays made the back of the bicycle look sleek. This bicycle is a performance focused hybrid for both commuting and long distance fitness rides. 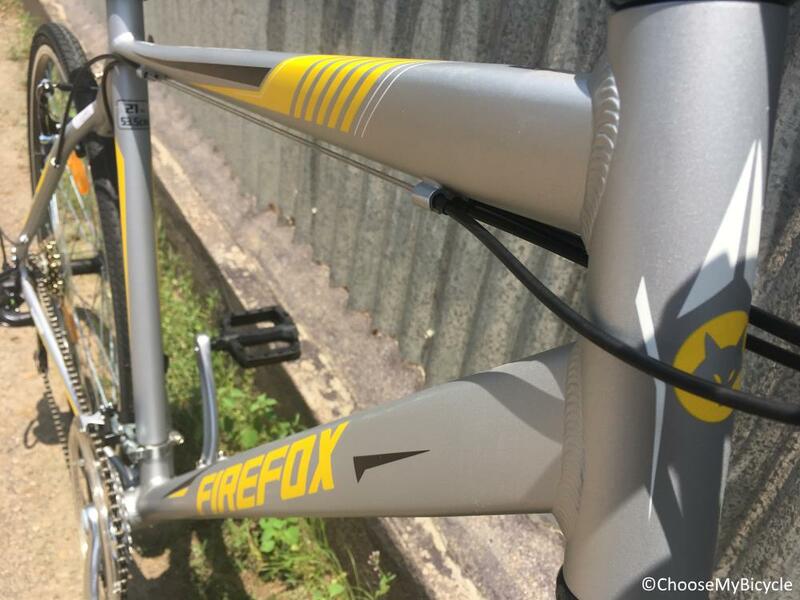 Firefox have gone with Shimano Tourney at the front and rear as derailleurs. These gears performed well during the test ride with no lag experienced. The Disc version of this bicycle comes with Acera at the rear but at a higher price. The Shimano EF51 21-Speed trigger gear shifters were easy to operate. As the name suggests the Road Runner Pro V comes with V-Brakes at the front and rear. The Sparkle branded V-Brakes was balanced and powerful enough on both dry and wet urban roads. 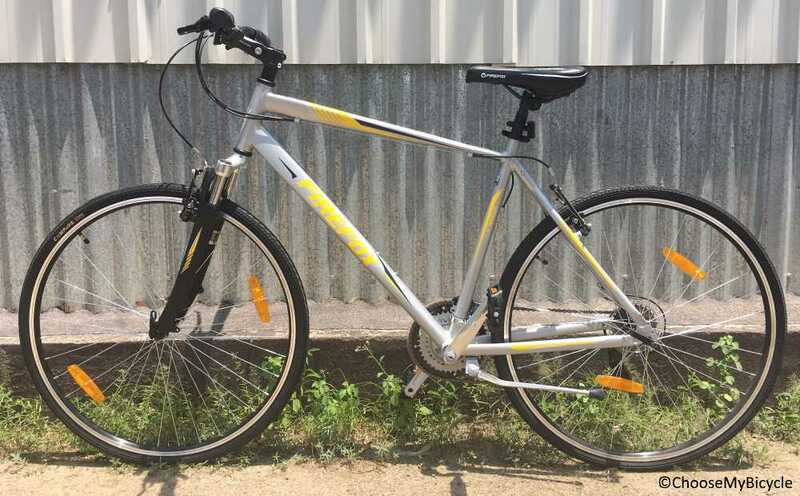 This hybrid bicycle comes with a steel 600mm handlebar with a slight raise from the middle. This wide handlebar gives the rider a wide chested posture and great handling for maneuvering in traffic. The Firefox Road Runner Pro V rolls on a pair of Compass 700x35c tires. These tires are well supported by Alloy doubled walled rims. These tires were fast and at the same time had good traction on rough and wet surfaces. The wheelset is lightweight. 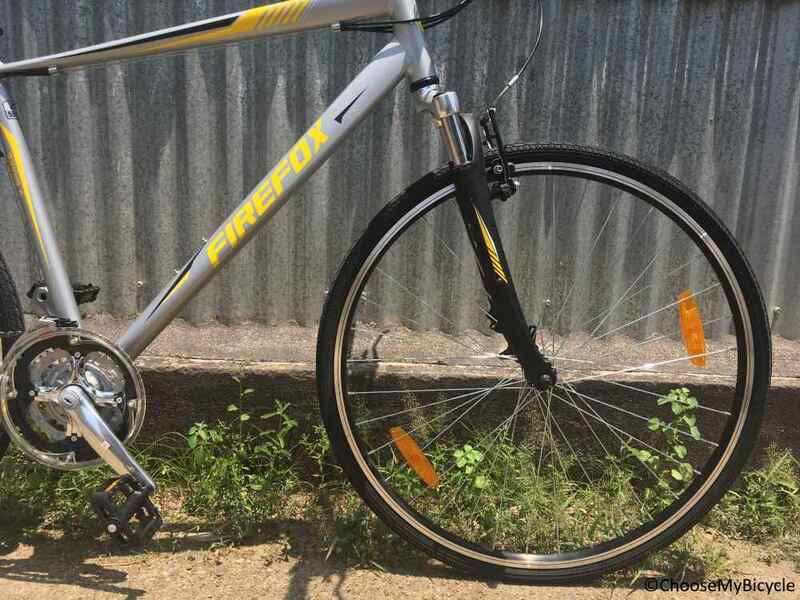 The Firefox stock saddle is found commonly on many other models of Firefox in both hybrids and MTB’s. They are padded well but not the best ergonomically. The overall ride quality was fast and comfortable on urban roads. This hybrid bicycle with a front suspension is great for commuting, fitness rides and touring. The frame is comfortable and the handlebar grips with foam make this comfortable to ride. With 4 different sizes and 2 colour variants, the Firefox Road Runner Pro V priced at Rs.17,600 is an affordable and comfortable hybrid.